Want to up your storytelling game? Want mad storytelling chops? Want to ditch the rambling, fumbling, and churning stomach? Get up on stage and tell your story. 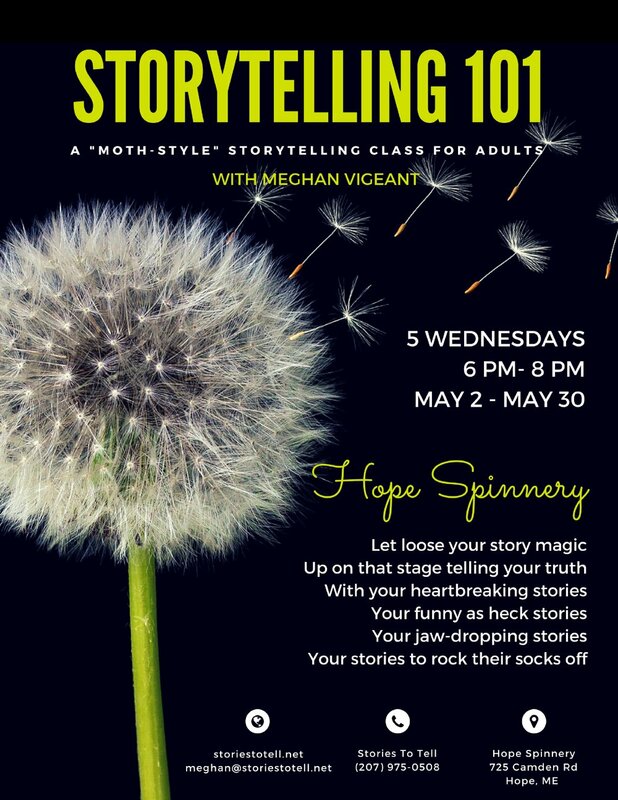 Join Meghan Vigeant for a five-week Moth-style storytelling workshop at the Hope Spinnery. How to tell a true story for an audience. How to mine your own life for stories. What makes a good story for telling. Stories like this and this and this. Creating a solid story structure. Putting on an actual performance for a real audience! Meghan creates a safe space to dive in deep, to get clear and brave and to shine forth brightly. If you are at all curious, just jump in. The water is nice there and you won’t regret the risk. Meghan is utterly professional and kind. Her class is amazing. If you would prefer to pay by cash or check, please contact Meghan. Partial and full scholarships available based on need. Contact Meghan for an application. 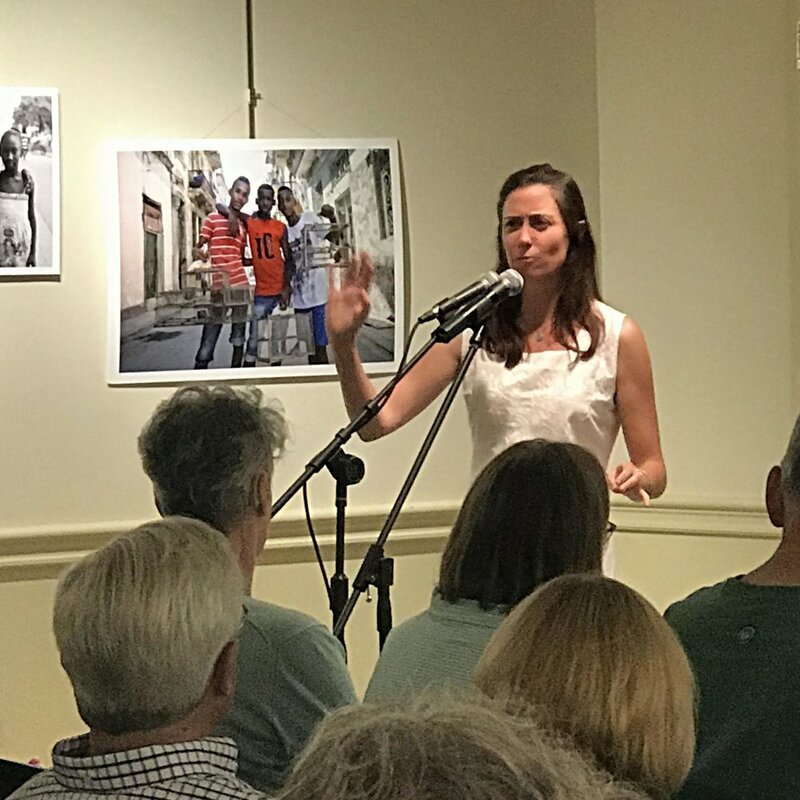 Meghan Vigeant is a storyteller, oral historian, and writer. She has taught oral history, storytelling, documentary, writing, and theater to students ages eight to eighty. She has a BA in theater/speech communications from Siena Heights University and attended the radio documentary program at the Salt Institute for Documentary Studies. She worked as a professional actress touring in the Midwest until she discovered that truth is stranger, funnier, and more fun than fiction; that's when she began to dig into real-life stories. She is the author of Guts, Feathers, and All: Stories of Hard Work and Good Times on Swan’s Island, Maine. Through her business, Stories To Tell, Meghan uses oral history and documentary storytelling to help clients save their stories, voices, and history.